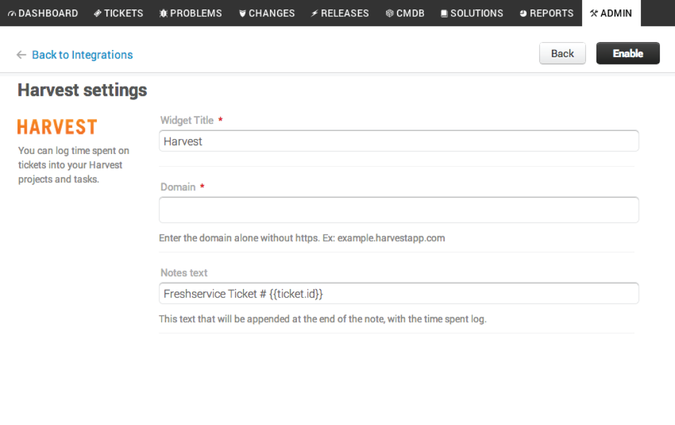 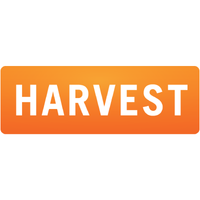 Integrating Harvest with Freshservice will let you track expenses, save time and plan effectively without moving from your Freshservice screen. 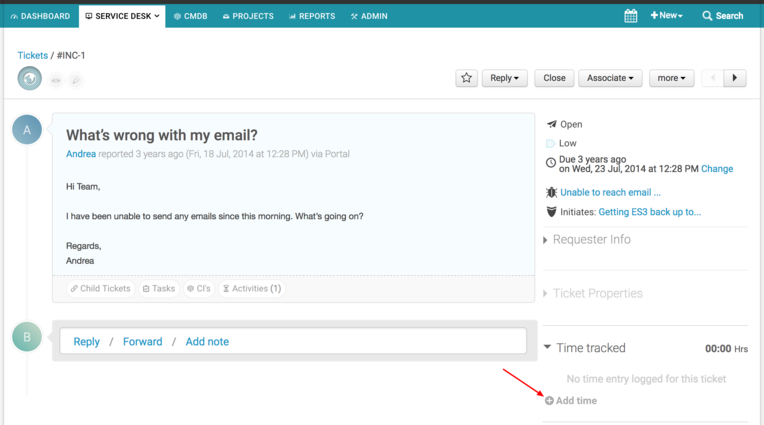 - Simple, intuitive time tracking capabilities right within your service desk. 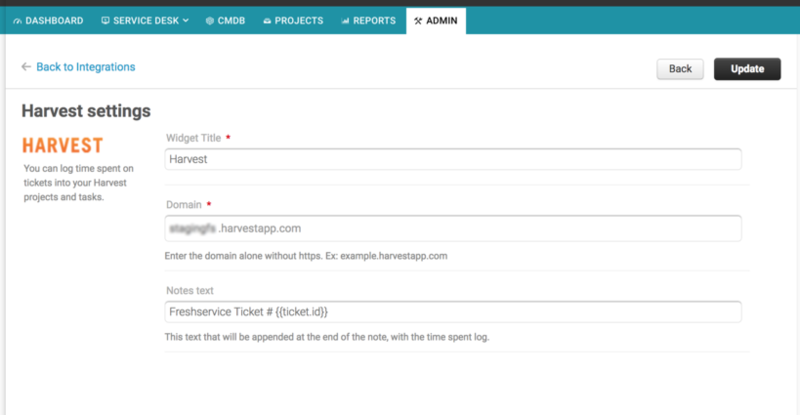 - Powerful reporting that helps in planning projects and budget, while providing insight that helps improve efficiency and productivity. 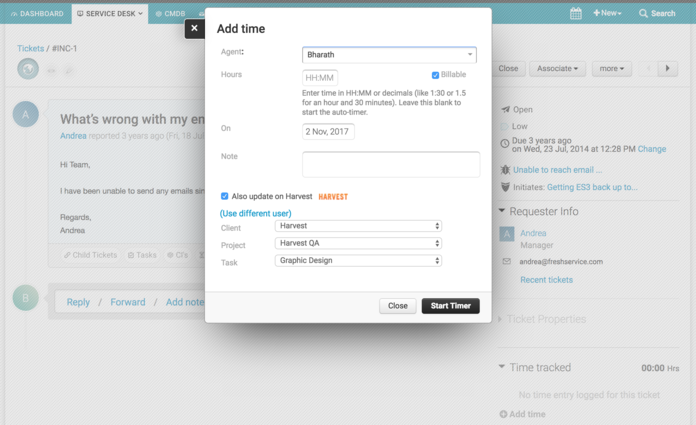 - Integrated invoicing that lets you create and send invoices from within your service desk.